This book was so good. I totally enjoyed it. It surprised me. It hit me in the feels. 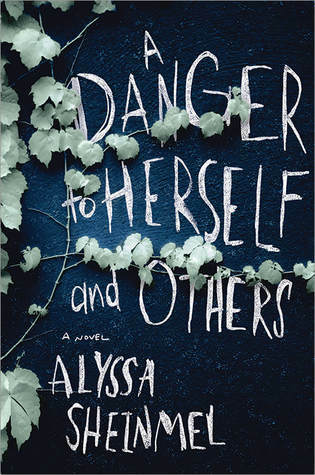 A Danger to Herself and Others tells the story of a girl in an institution. The story is told from our main characters perspective. She is totally an unreliable narrator, and we learn things as she learns them. She doesn’t always believe the things she’s being told. As the reader, I almost don’t believe the things she’s being told. Hannah is complex and fascinating. At first, she’s arrogant and goes on and on about how she was the perfect kid and she’s so good at everything. But as the story progresses, she learns that her life is not what she’s always thought it was. It really brought her down a peg or two. The realizations she’s learned about herself really made it so I was able to sympathize with her. The world is taken out from under her feet and I totally felt for her. By the end of the story I really liked her. Overall, A Danger to Herself and Others was a wild ride. Everything I thought I knew in the beginning was challenged and I felt like I didn’t know anything by the end, which is exactly how Hannah felt. I really enjoyed this. Thanks to NetGalley for providing this eARC for me to read and review. I will definitely be buying this when it’s released. Do you know when this comes out? It seems really good! It’s out! I believe it came out on the fifth of February. It was super good. I couldn’t put it down.